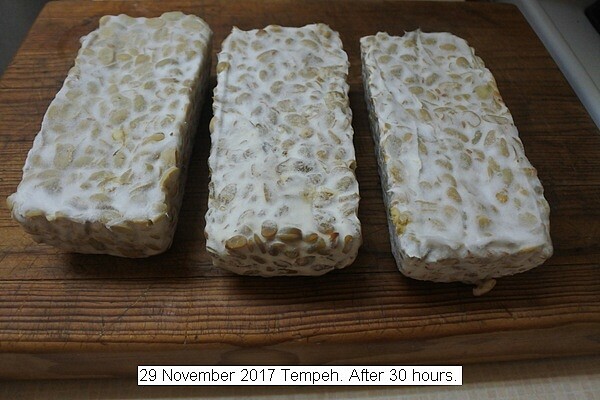 A new batch of tempeh was made. A slice about an inch thick is eaten for breakfast each morning. It is a fine protein source.